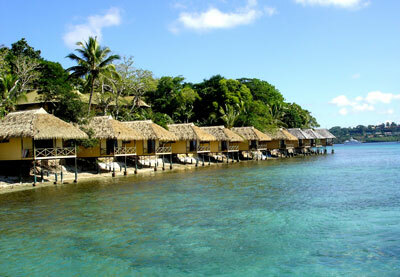 Sitting just between New Zealand and Australia, Vanuatu has been voted several times the happiest place on the planet. 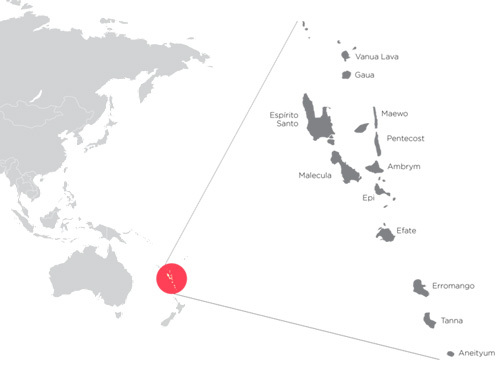 The tropical chain of Vanuatu islands in the Pacific Ocean has no military at all, Vanuatu is peaceful country despite its immense cultural diversity (over 100 languages are spoken). The Vanuatu Honorary Citizenship (Development Support Program) is endorsed and guaranteed by the president of Vanuatu and was fully ratified on December 2016. The objective of the Program is to create local jobs, stimulate the economy and keep the national budget balanced. You may get your Vanuatu passport within 6-8 weeks. 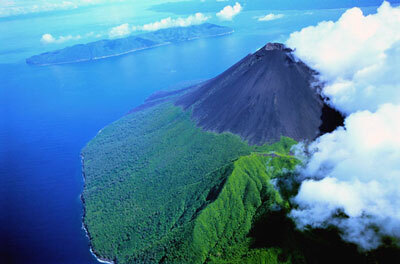 There are no restrictions on dual citizenship in the Republic of Vanuatu. A Vanuatu passport allows visa-free entry to 123 countries including all European Union countries, the United Kingdom, and Ireland. Citizens of Vanuatu islands are permitted to apply for Australian Visitor Visa (subclass 600) and US Tourist Visa, amongst others. The best offer for a family having many children. No age limit for dependents. You are not required to live in Vanuatu or visit Vanuatu to keep your vanuatu passport. Have a clear criminal record and pay the fees. Vanuatu has no income, wealth, inheritance, capital gains and estate taxes. Absence of tax treaty exchange and guaranteed bank and commercial privacy. Vanuatu is a favourite destination for travellers wanting a unique tropical destination that is relatively untouched by massive tourism trades. Main applicant must be over the age of 18 when submitting his/her application. Applicants must submit clear criminal record. Applicants should have at least 250,000 USD asset. A single applicant should pay 155,000 USD, while a family of four 205,000 USD. There is a fee of additional family members. 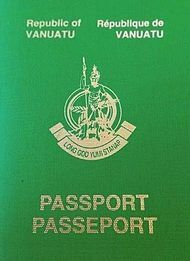 You will get your Vanuatu passport within 6-8 weeks.